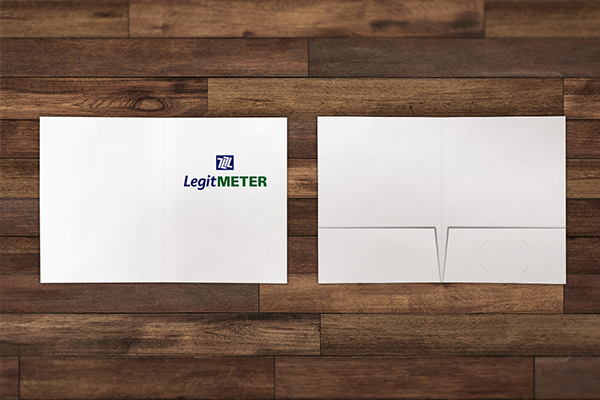 Company Overview: Legit Meter, LLC provides real-time meter reading for utility companies such as natural gas and electric. The Fort Wayne, Indiana company opened in April 2017. 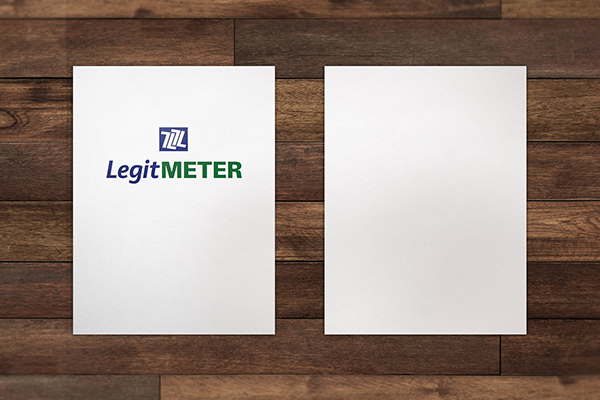 Product: 4-Color Process Letter Size Two Pocket Folder printed on 12pt C1S White Semi-Gloss stock. H1 business card slits on the right pocket. 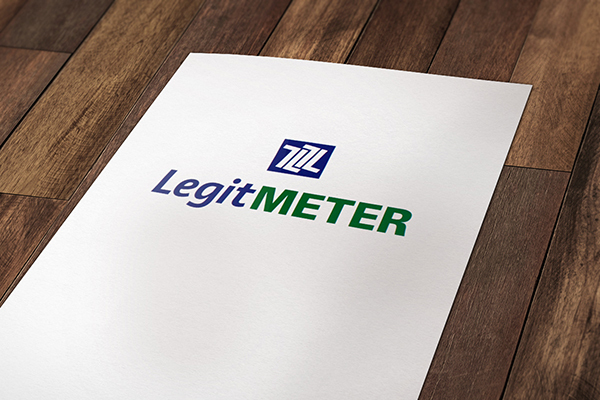 Problem: Lynn Rich, owner of Legit Meter, LLC, needed folders to hold the company’s sell sheet flyers and brochures in less than a week. Story: When Lynn Rich needed folders for his company’s marketing materials, he began an Internet search to look for presentation folders, but under one condition—he needed them within a week. 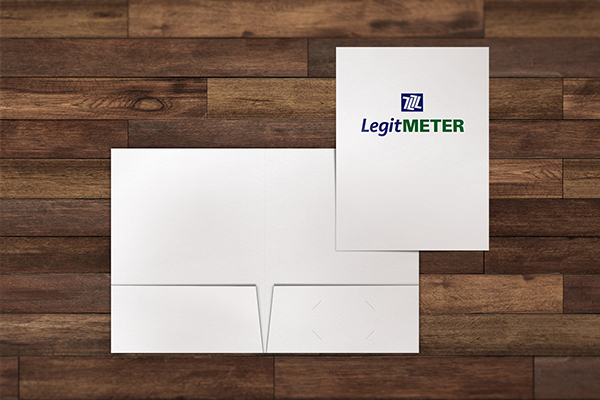 The Legit Meter, LLC owner wanted the custom folders printed fast to house his company’s sell sheet flyers and brochures for distribution to potential customers, including at an upcoming conference. With his deadline rapidly approaching, he decided to go with Company Folders for his printing needs. Rich received his folders four days after he placed his order—two days ahead of his deadline. 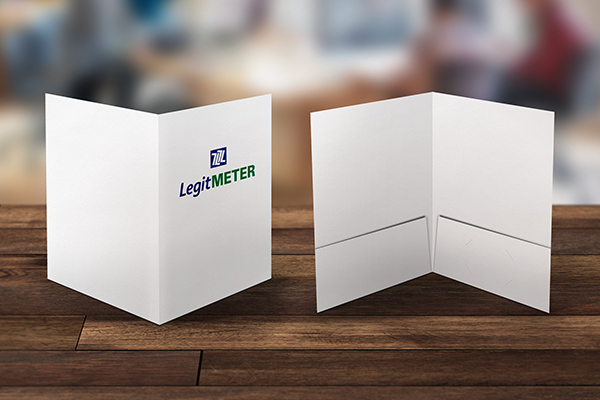 Known as the “Money Saver” or “24-Hour Folder,” Rich selected the 4-Color Process Letter Size Two Pocket Folder on a 12pt C1S White Semi-Gloss stock with H1 business card slits on the right pocket. It’s called the “24-Hour Folder” because it has a production time of 24 hours and can be shipped the next business day if the order is finalized by 11 a.m. 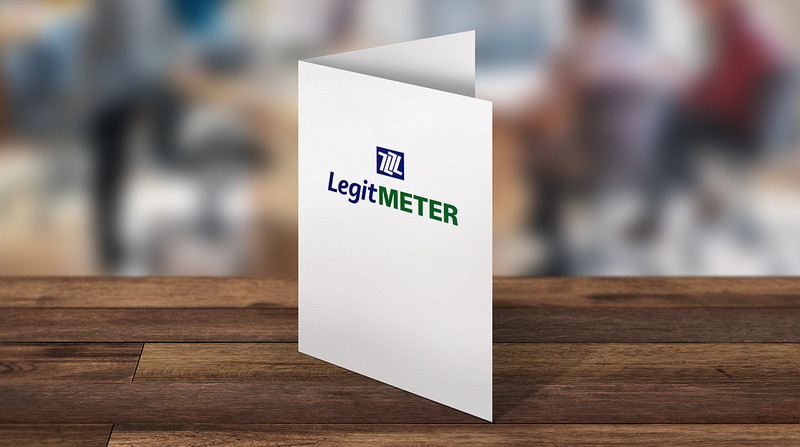 It is one of Company Folders’ most popular products. Finalizing his order in a timely fashion wasn’t a problem for Rich, because he said the design and order process was easy and “natural,” especially for a first-time customer like himself. Ordering online was just as easy, too. While the quick turnaround time was important, the final product didn’t disappoint. He said reviews on the product have been favorable. He believes his professional folder (along with the material inside) has contributed to a recent increase in call-backs. All in all, Rich said he would only change one thing about the whole experience. “I wish I would have found [Company Folders] a long time ago,” he said. He said he’s already recommended Company Folders to others and plans to continue to do so.